Fashola advocates for reduction in house rents nationwide – Royal Times of Nigeria. Minister of Power, Works and Housing, Babatunde Fashola, on Tuesday advocated for a decrease in the house rent collected by landlords nationwide. Speaking at the inauguration of the board members of the Estate Surveyors and Valuers Registration Board of Nigeria in Abuja, Fashola said going by the economic slow down being experienced globally, most house owners have adjusted their rent by giving their tenants some discount but in Nigeria, that has not been the case. 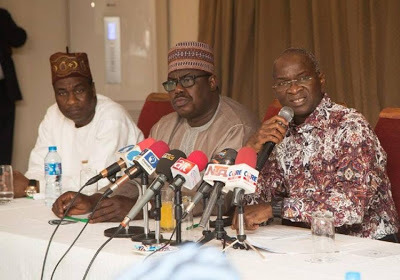 Speaking, Fashola said; “Just recently, I checked the property markets in some other jurisdictions and because there is a global economic slowdown, what we see is that people are offering discounts in order to ensure optimum occupancy. But I’m not sure that the practice is the same here. So are these values consistent with the realities? Why are we not seeing rates, rents and values drop? Why are we having many houses unoccupied when people are looking for accommodation? The argument sometimes has been that properties are valued higher so that it can have impact on percentages and commissions.